ASTM’s proposal to tighten up impact absorbency standards for playground surfacing has been defeated. The proposal did not receive enough support from members of the relevant committee even to be considered at its meeting in California last week. It has been widely criticized here and elsewhere, including in this article by leading Canadian accident prevention experts. This is a major victory for those opposed to the proposal. It shows that a growing proportion of ASTM committee members now disagree with it. Remember that last year, the proposal came close to being adopted. It was only stopped after the committee’s procedures were reviewed by an overarching ASTM committee. However, this is not the end of the story. ASTM committee members tell me that supporters of the proposal have said they plan to bring it back for another vote. There are already discussions about recruiting new committee members to influence the vote. This raises serious questions about the legitimacy of ASTM’s standard-setting process. It is clear that the process of reviewing playground safety standards is open to influence by people with a direct commercial interest. Indeed there are ASTM committee members with commercial interests on both sides of this debate. This only underlines the need for a broad, impartial, transparent review of the type that I – and many others – have been calling for repeatedly over recent months. It also adds to the case for reform of the whole playground standard-setting process (a topic that my long-term collaborator Bernard Spiegal has recently explored). The case for a pause is strengthened by news of two key developments in North America. First, the American Consumer Product Safety Commission (CPSC) – a federal agency – is apparently planning to carry out a study of the condition of US playgrounds. Meanwhile in Canada, a broad coalition of national organisations is about to go public on a high-profile position statement on outdoor play, along with several systematic literature reviews. These are likely to kick-start exactly the kind of wider debate that is both needed and helpful. It would be particularly short-sighted for ASTM to push for revisions before CPSC’s study has even begun, let alone been completed. Having just come back from a coast-to-coast speaking tour of Canada, it is crystal clear to me that there is a groundswell of opinion in favour of a more thoughtful, balanced approach to playground safety. Indeed appetite is growing for a much wider debate on risk in childhood. The time is also surely right for public health and consumer safety agencies such as CPSC – and also CDC and Health Canada – to make public their views on the topic. They may wish to take note of a decision taken here in the UK by the National Institute for Health and Care Excellence – our equivalent to Health Canada. Back in 2010 it ruled out publishing new guidance on child accident prevention in play and leisure contexts back in 2010, because of “a lack of effectiveness evidence, the low numbers of serious injuries and deaths during outdoor play and leisure, and concerns that standalone guidance might encourage unwarranted risk aversion (with negative consequences for physical activity and play)” [quote taken from an email to me from Prof Mike Kelly, then director of NICE’s Centre for Public Health Excellence]. Overall, the case for a pause and wider review on playground safety standards is now compelling. One more thing is clear. If ASTM simply allows the proposal to return for another vote, it not only ignores the growing concern and debate on this topic. It also risks bringing its own procedures into disrepute. 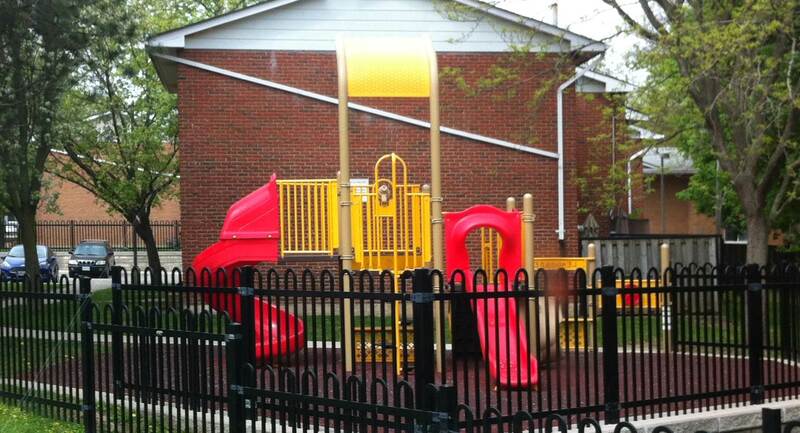 This entry was posted in playground, Risk and tagged ASTM, Canada, playground safety, standards, USA. Bookmark the permalink. Good news – for now – Tim! And well done you – we never know but I suspect your stance on this and bringing the wider attention to it has helped the rethink. Thanks Mick. It’s not over yet, clearly, and even to get this far has involved a lot of voices, effort and action. But I’ll take my fair share of the credit for this achievement. Thanks for mention and link to my piece on this. It needs to be emphasied that even if a ‘win’ is secured on this matter – the proposal to reduce HIC values from HIC1000 to HIC700 – this result being by no means assured, the fundamental issue remains: how to reform playground equipment and surfacing standard-making as a whole. A major part of this is recasting the value-base of current standard-making. Reform of Standards is in a very real way an international issue, thus Europe ands other jurisdictions need to become invloved. My view is that demand for reform requires some form of organisational expression and, as I’ve urged long and often, this is something we and others need to attend to. Finally, we need to articulate more explicitly the benefits that could flow from a reform of standards. I had a stab at that in a piece subsequent to the one you kindly linked to. Look forward to you having a bash at that question too. Tim this is good news indeed and I know that it will be welcomed by the Play Safety Forum, the British Standards Committee and by the European Standards body CEN. No doubt we will be discussing the way forward at the next PSF meeting on June 10th. This really is a victory for democracy with a small ‘d’. I suggest inviting the DM to our next PSF meeting. Oh, and it would be great if Mr Huber could also make it, armed with his ‘evidence’ of course. Thanks so much for the continuing coverage of this issue! In your August 25, 2015 article you mentioned the commercial interests of those involved. I can’t help but be reminded of Benjamin Franklin, supporting resolutions to favor the adoption and expansion of paper money, and conveniently suggesting his own printing company to take the contract. To a casual observer such as myself, the amount of injuries that lead to significant issues seems statistically insignificant. My inclination is to suspect cronyism. I don’t mean this comment to be inflammatory, so certainly correct me if I’m seeing this the wrong way. Hi luketatum – thanks for this further comment. It’s fair to point out the financial interest that some on the relevant committees have in surfacing and surface testing, and hence the potential for conflicts of interest (and I have done so myself in previous posts). By the way, your comment got sent to spam – not sure why, but I do find that the WordPress algorithms are not perfect. I did have a strange browser issue, so I was worried it may have posted the same comment twice. Thanks for taking the time to approve it! I’ll continue to watch this with great fascination.